Happy Star Wars Day Everyone! May the 4th be with you. I made Chewie Wookiee Cookies (from exactly 2 years ago) yesterday… and had them for breakfast this morning. Seriously, cookies for breakfast = win! Anyway, aside from the Chewie Wookiee Cookies, I wanted to make another Star Wars-themed recipe for this year's Star Wars Day. 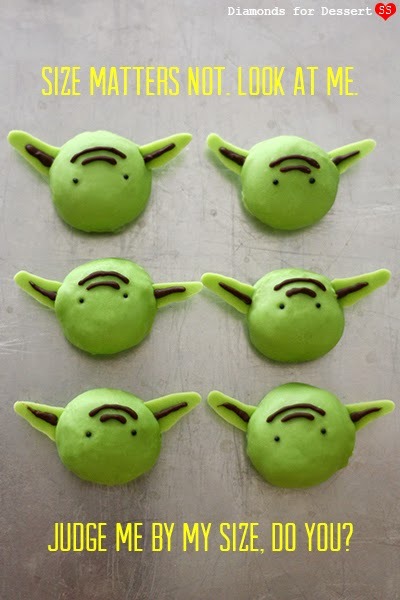 I've been craving something with matcha for a while, so I thought Yoda Matcha Truffles would be perfect. 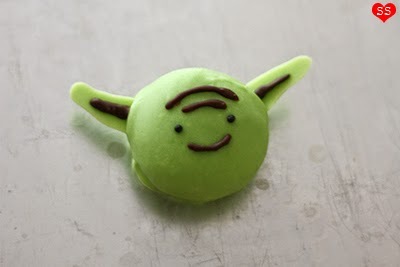 Aside from both being green, I associate both matcha and Yoda with zen and wisdom, so a perfect match! The recipe is fairly straightforward. What was challenging was melting chocolate in humid weather, definitely not one of my favorite things to do. 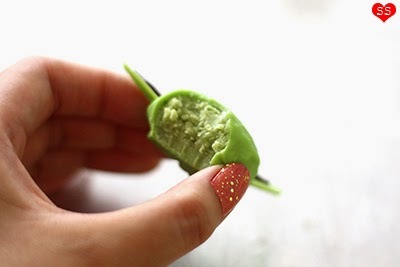 I also thought about just mixing white chocolate with matcha powder for the outside coating, but it turned out pretty grainy and icky looking, so I went back to relying on candy coloring to get the green tint for the coating. 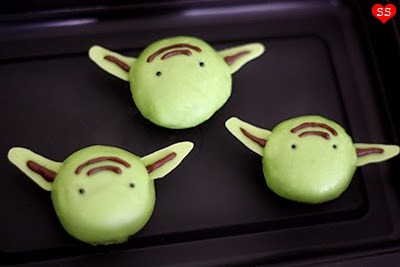 Other than that, they turned out pretty well, perfect for Star Wars Day. P.S. In case you were wondering why these truffles only have eyes… I tried adding a mouth to some of the truffles (an example above ^), and for some reason they looked really strange to me. As I was decorating the other truffles, it hit me. 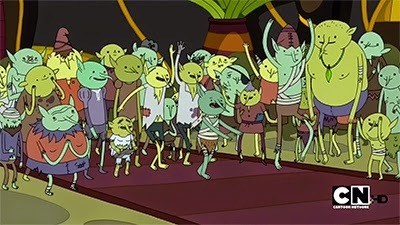 The one with mouths really reminded me of the Adventure Time goblins rather than Yoda. I decided to hold back on noses as well since that would have made them look even more goblin like ><! When you make them, it's up to you whether to put a mouth on or not :P.